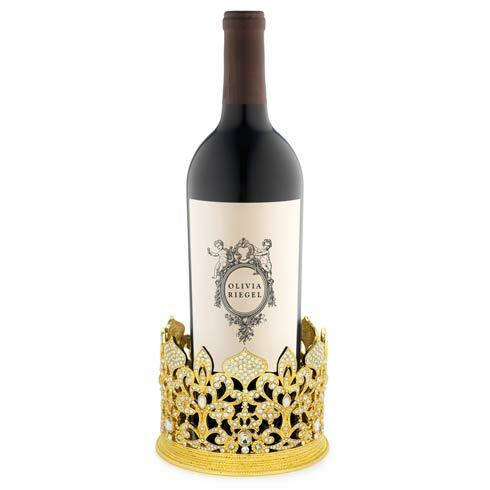 Olivia Riegel ~ Gold Fleur de Lis ~ Crown Candle Holder/Wine Coaster, Price $335.00 in New York, NY from William-Wayne & Co. Cast pewter in gold finish with hundreds of hand-set clear pavé European crystals and glass gems. Light green hand-enameled interior. Holds a 4” pillar candle or larger bottle of wine.